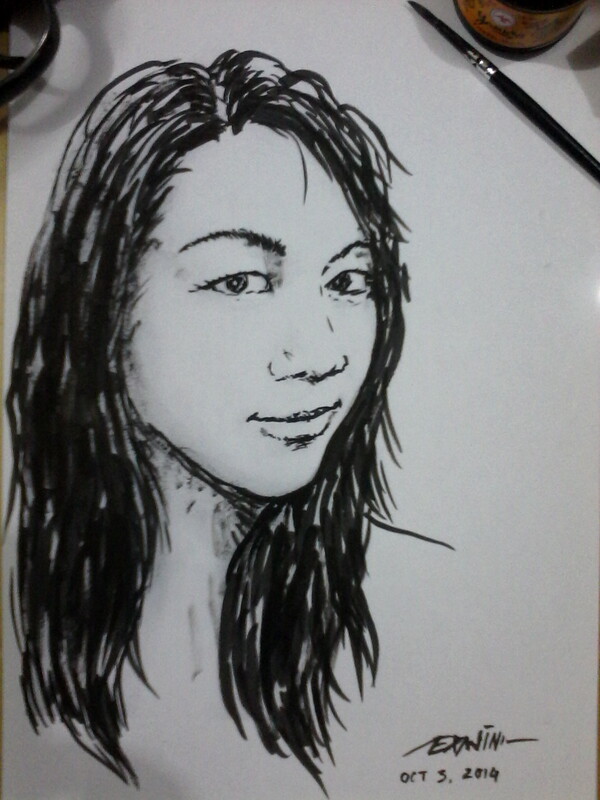 Day Three, and I’m still using thr same tool as Day Two, a cheap Reeves nylon-hair brush and even cheaper Yamura ink. And again, I decide to draw a friend. Safer that way. Well, can anybody here recognize her? She’s a WordPress user like you, so I think one or two must be able to say who she is. PS: Yes, the paper is too small, you perverts!! ~ by edwinlives4ever on October 3, 2014. Am I really that bad in drawing faces, or has the face owner changed that much? mbak Febbie bukan yes ini? Njuk aku kudu salah mbedhek sik ngunu…?